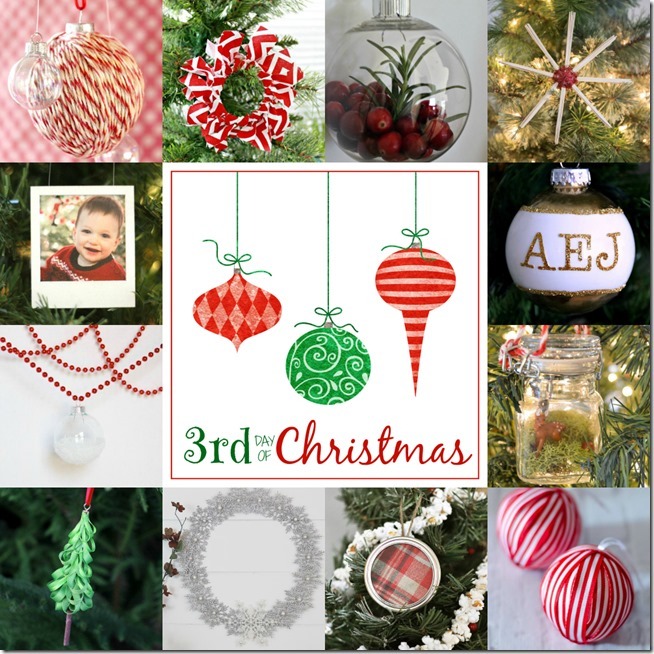 Welcome to day 3 of the 12 Days of Christmas ornaments! 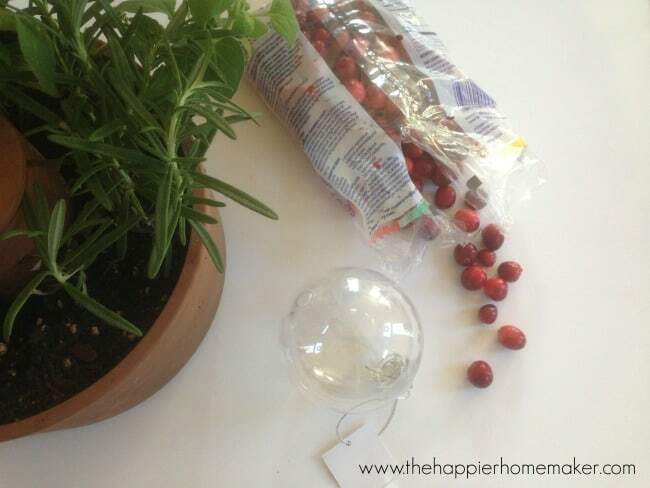 Today’s Cranberry and Rosemary ornament is simple but stunning-but first how are you liking the DIY Christmas ornament ideas so far-we’re already up to 36 ornament ideas-isn’t that amazing? Simply fill your ornament with cranberries-I had to handpick smaller ones to fill through the ornament hole. Fill the ornament about 1/3 of the way full. 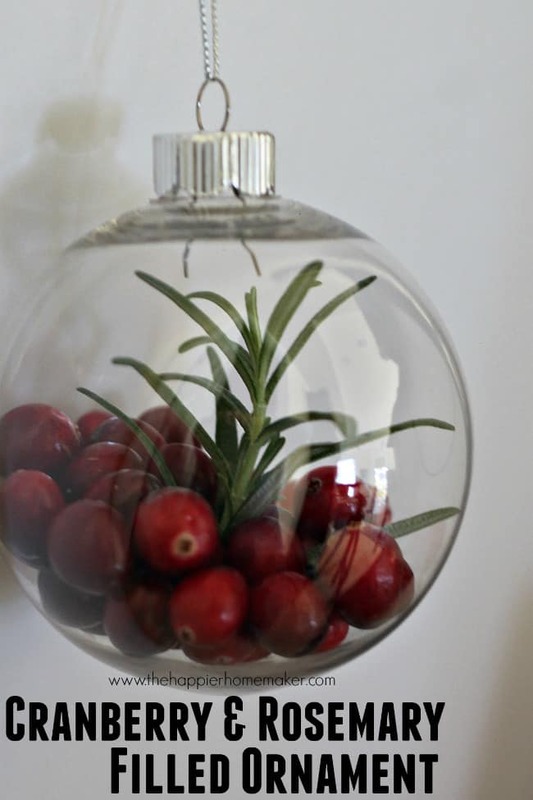 Cut a 3″ sprig of rosemary and carefully push it into the ornament. I used a thin pencil to help me position it just as I wanted it. Then cap your ornament and it’s ready to hang. These are obviously not multi-year ornaments but I think they look gorgeous so it’s worth having to toss my $1 ornament after Christmas for this project! Love what you choose to go inside of it! The options are endless, right?! Super cute! Such a clever idea! And I’m sure it smelled delicious!!! 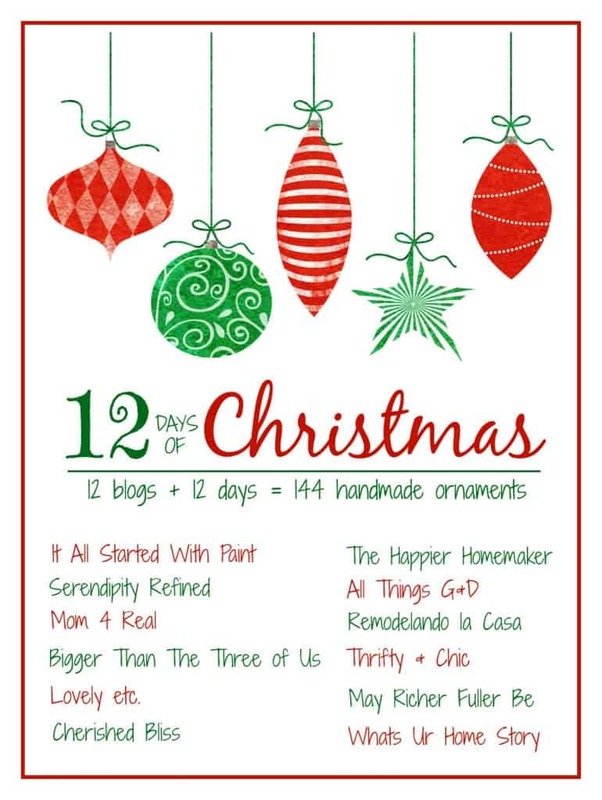 I’m so humbled and honored to be Christmas crafting with you this year!